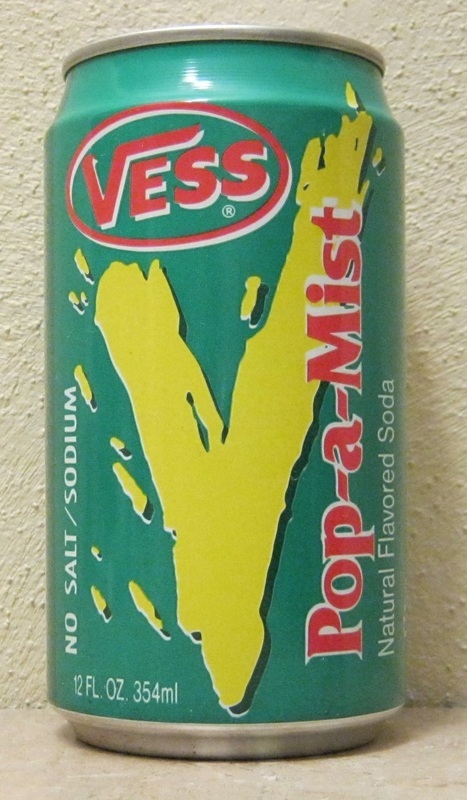 Vess Soda is a brand of soft drink manufactured and distributed primarily in the St. Louis, Missouri, metropolitan area. The company was founded in 1916. It is now owned by Cott Beverages. Its slogan is "The Billion Bubble Beverage". Sylvester Jones was the principal founder, who developed the VESS trademark from his nickname. Whistle Orange Soda was introduced in 1925, with the Vess logo on the other soda flavors. The Stock Market Crash of 1929 left the company in bad financial shape. The business was sold to Donald Schneebarger. Schneebarger was a genius at marketing and added several new flavors to the line, many of which are still produced today. Vess Beverage assets and division, Vess Specialty Packaging Company, was purchased in 1994 by Cott. Vess flavors include the standard cola and fruit flavors. Vess is well-known for their orange soft drink, Whistle. The cream variety is an unusual deep pink color. Vess-Up is their lemon lime soda. Vess also produces cherry cola, black cherry, pineapple, peach, pina colada, strawberry, grape, blue raspberry and kiwi-strawberry flavors. In the 1980s, Vess soda produced a chocolate beverage almost identical to Yoo-hoo called Vess Chocolate. It was discontinued in the mid 1990s.